It’s been a little over a week since the last recipe I posted and I wanted fill you in as to where I’ve been. Well, for the most part, I’ve been on my couch, wearing my floppiest, baggiest clothes and sleeping on and off–believe me, I wish I were off doing something a lot more fun. Last Friday I underwent a major surgical procedure and was in the hospital for a few days, but now I’m at home recovering. It’s so difficult to sit still and do nothing, but at the same time, doing just about anything tires me out so much that I just end up, well, sitting still and doing nothing anyway. Every day, I feel a tiny bit better, although the overachiever in me thinks I should be up and about and back to normal by now! This could not be farther from the truth and even surfing Pinterest tires me out! Good thing I have Season 3 of Downton Abbey to catch up on! 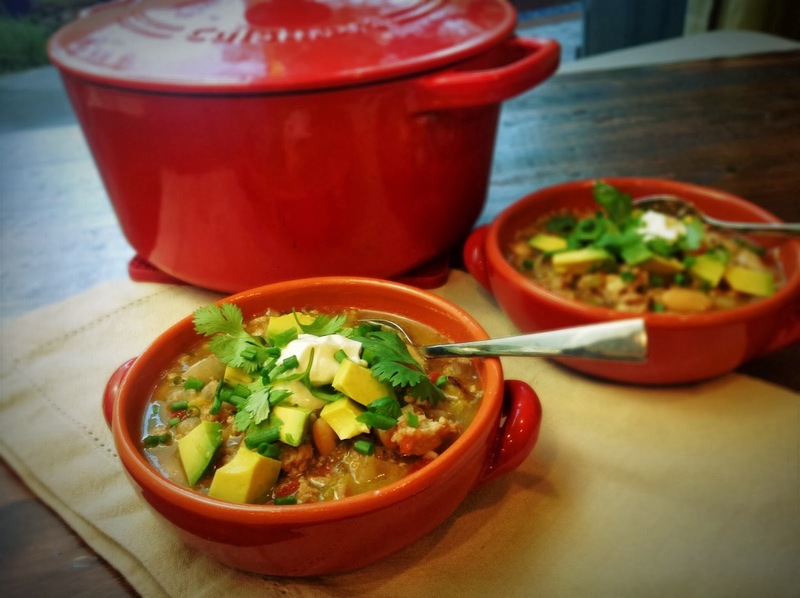 So, while I don’t have a brand new recipe to share with you today, I do want to share my favorite White Bean and Turkey Chili with you! 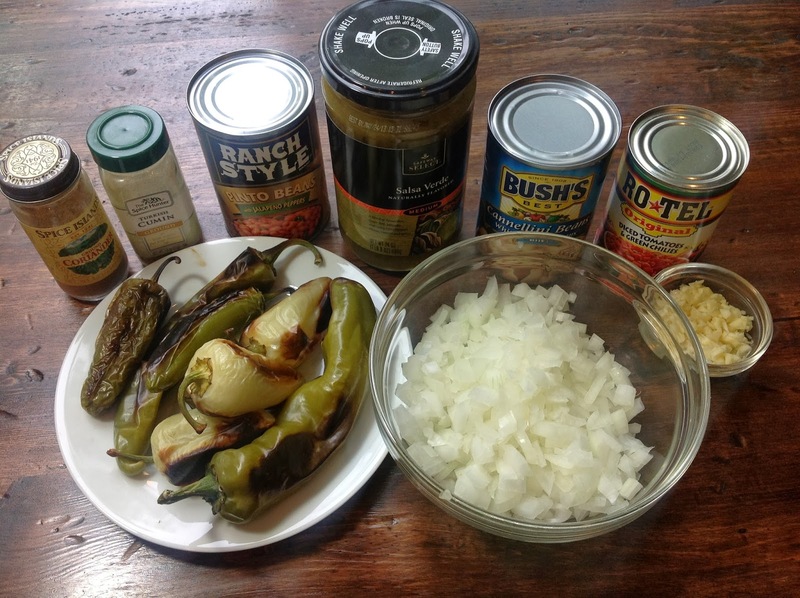 This is the Man of the House’s favorite chili and it is very easy to make due to the addition of some “convenience foods” such as canned beans, canned tomatoes and prepared green salsa. It’s perfect for these crisp and cool fall evenings when you just want to snuggle up and have something hot and spicy! 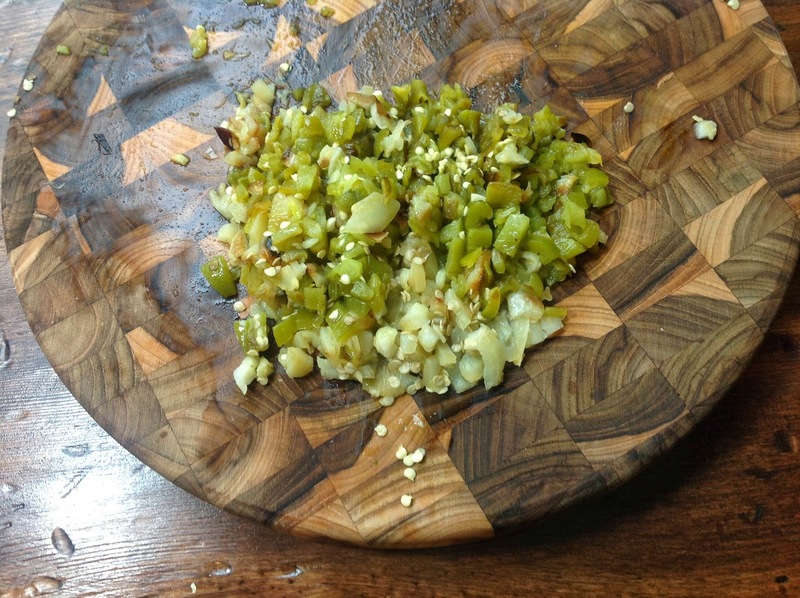 First, roast the peppers under the broiler or on a grill. 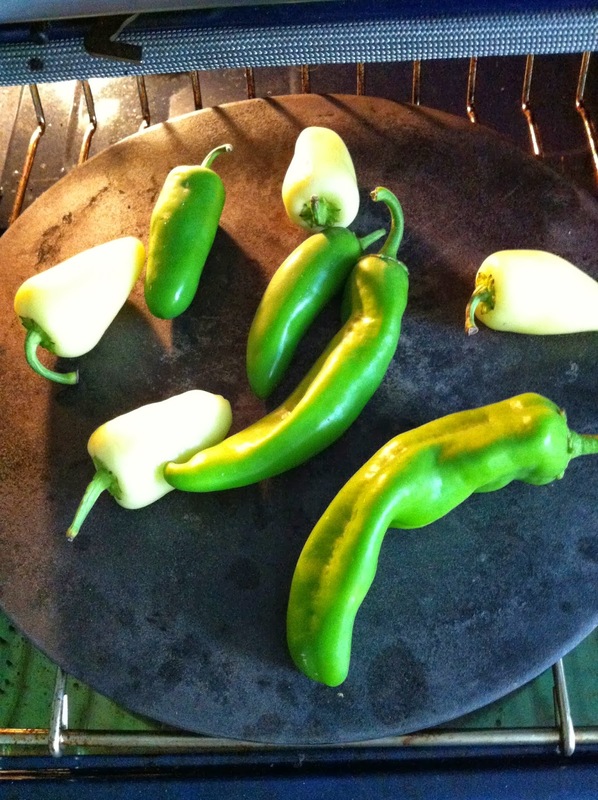 When the peppers are evenly charred, allow them to cool. With gloved hands, remove the skins. Chop the peppers and set aside. Brown the ground turkey and season well with salt and pepper. Add the chopped onions and garlic and cook until translucent. Next, add the cumin, coriander and oregano to the meat and cook for about 5 minutes. Add the beans, Ro-tel, chopped chiles, chicken broth and salsa and simmer for about 40 minutes. Add fresh lime juice and a small handful of chopped cilantro and simmer for an additional 10 minutes. 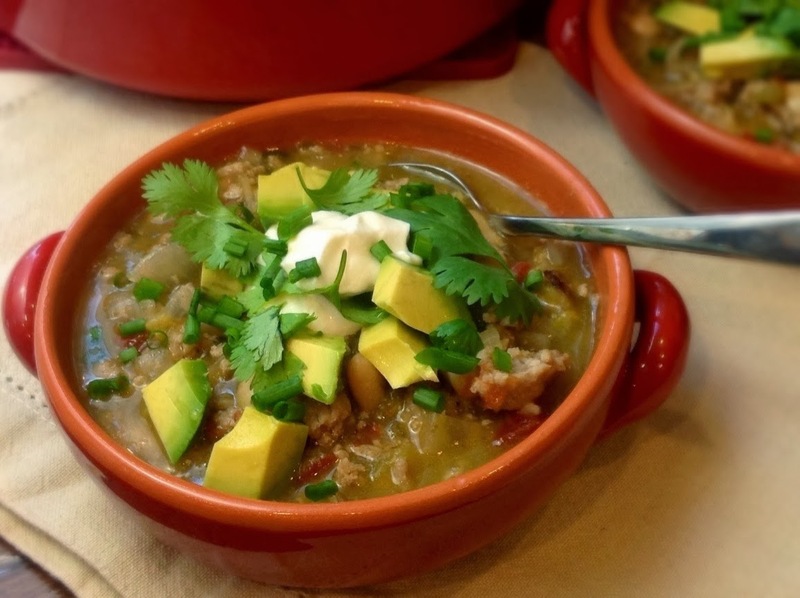 Garnish with the greek yogurt, chopped cilantro, avocado, or whatever you like on your chili! Hopefully I’ll be back in the swing of things soon, but until then, stay cozy and enjoy some chili! I think I’d better see what Lord and Lady Grantham are up to now!